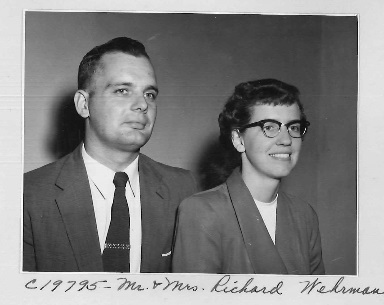 Board of Missions of the Methodist Church , “Mission Photograph Album – Portraits #09 Page 0003,” UMC Digital Galleries, accessed July 11, 2018, http://catalog.gcah.org/omeka/items/show/60941. When Dr. Wehrman was assigned to teach in Union Theological Seminary, he was everybody’s father and grandfather. His compassionate spirit and practical ministries endeared him to many students and professors. With Dr. Richard Schwenk, he consistently pursued Aeta mission work. Because of this, we now have an Aeta People’s District. Dr. Wehrman supported Bishop Peter Torio’s studies at Duke Divinity School. He was the first pastor to invite the now bishop as a preacher in one of his churches when he was 14 years old. Since Peter Torio was appointed a District Superintendent in 2010 and elected as Bishop in 2012, Dr. Wehrman continued to be his mentor. Along with his dad, he provided the best positive influence in his life as a pastor. Bishop Torio says he owes his stewardship lifestyle and evangelistic passion to him. The Wehrmans preached to us in our Filipino languages—Tagalog, Ilocano, Kapampangan, and Pangasinense.